Thomas Burch, lecturer in mechanical engineering, was promoted to senior lecturer. Burch joined the Auburn Engineering faculty in 1992 as a visiting assistant professor. He is also a partner and chief engineer for the Boiler Efficiency Institute, which provides training and workshops on boiler and HVAC plant operation. Burch’s research interests include industrial energy utilization, HVAC, boiler safety and gasification. He was recognized as the Department of Mechanical Engineering’s Outstanding Faculty Member in 1996. Burch is a member of the American Society of Mechanical Engineers and is active with Engineers Without Borders, serving as faculty co-advisor for the Auburn chapter. Allan David, the John W. Brown Assistant Professor of chemical engineering, was promoted to associate professor with tenure. David joined the Auburn Engineering faculty in 2012 after beginning his career as a postdoctoral associate and then adjunct faculty member at the University of Michigan. His research interests include “smart” materials, nanomedicine, cancer, vaccine delivery and ocular drug delivery. David is a recipient of the Auburn Engineering Junior Faculty Research Award for Excellence and the Department of Defense Prostate Cancer Research Program – Idea Development Award. He is active in the American Institute of Chemical Engineers. Wei-Shinn (Jeff) Ku, associate professor of computer science and software engineering, was promoted to full professor. Ku joined the Auburn Engineering faculty in 2007 after completing his doctorate at the University of Southern California. His research interests include spatial databases, data science, cybersecurity and mobile computing. Ku directs the Auburn Data Science Lab and has published more than 100 research papers in refereed international journals and conference proceedings. He is a senior member of the Institute of Electrical and Electronics Engineers and a member of the Association for Computing Machinery’s Special Interest Group on Spatial Information. Nam Tran, associate research professor and assistant director at Auburn University’s National Center for Asphalt Technology, was promoted to full research professor. Tran began his career as an assistant research professor at the University of Arkansas before joining the NCAT research faculty in 2007. His research interests include advanced asphalt materials characterization, alternative asphalt binders and rejuvenators, interlayer bond strength, pavement sustainability and pavement economics. A recipient of $11.2 million in sponsored research over his career, Tran has also authored or co-authored 36 peer-reviewed journal publications. Huaguo Zhou, associate professor of civil engineering with an emphasis in transportation engineering, was promoted to full professor. 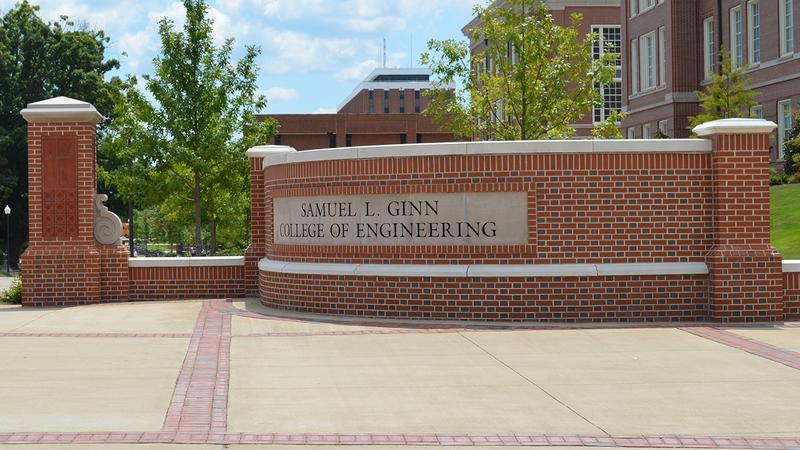 Before joining the Auburn Engineering faculty in fall 2013, he was a faculty member at Southern Illinois University Edwardsville and a senior research associate at the University of South Florida. His research interests include traffic operations and safety; access management; operational effects of geometrics; pedestrian and bicycle safety; and intelligent transportation systems. He has been principal investigator or co-principal investigator on more than $4 million in sponsored research and was awarded an Outstanding Research Award while on the Southern Illinois University Edwardsville faculty.